At SupplyHouse.com we take our health seriously. We have a gym in the building, offer salads for lunch every Friday (alongside the pizza, but still), and every year we dedicate an entire month to improving our lifestyles. For the New York office April saw numerous health focused activities from speakers to exercise. 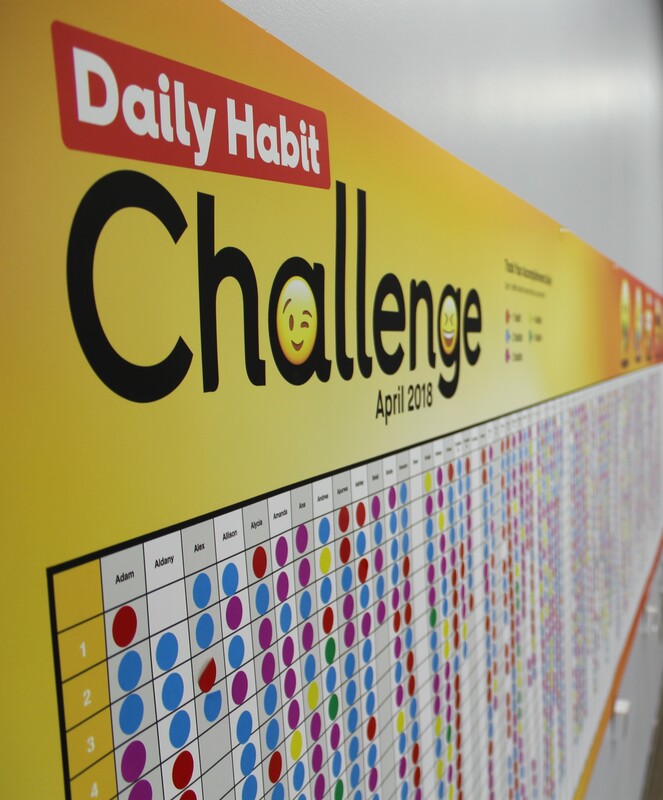 Each and every day we were challenged to complete 5 tasks that would hopefully lead to good habits well beyond the month of April. Every day we didn’t eat fast food or takeout, drank 8+ glasses of water, slept 8+ hours, exercised for 30+ minutes, or walked 10,000 steps we got a raffle ticket for the weekly drawings. Everyone had room to improve in these areas and this gave us a motivation to try to accomplish our self driven challenges. The speakers discussed with us healthy diets and how to improve our general wellness (physically and mentally). They showed us some common misconceptions and guided us in how we can address easy to ignore negative habits. Getting us loose, a yoga instructor came in for a company wide yoga session. She regularly comes in for smaller sessions, but this time we had an extended lesson with new poses that stretched muscles I didn’t know I had. Taking advantage of the communal knowledge around the office, we held skill shares where volunteers taught classes on a variety of topics. There were classes on making acai bowls, using kettle bells, making sour pickles, home made protein bars, posture, building sensory bottles, and more. The month culminated in the field day where we broke into teams and competed in health focused activities. Optimizing our individual talents, we assigned ourselves to individual challenges, ranging form jump rope to water balloon toss. After making it through that we came together and worked through two group challenges, organizing food based on caloric content and a unique game of don’t touch the ground (the floor is lava to some of you). Over the course of the month we all learned something about health and our personal relationship to it. Hopefully we are all able to extend habits and skills picked up the last 30 days to the rest of the 365. Check out the slide show below to join us in the fun! With events like this, the team at SupplyHouse.com is both taught how to live better lives and gets to have fun. A relaxed and healthy team that enjoys coming into work produces the best possible output for the customer experience. This strategy is built off of our Core Values which have been guiding us since day 1. So when you need plumbing, heating, and HVAC products, SupplyHouse.com is going to be your best bet.